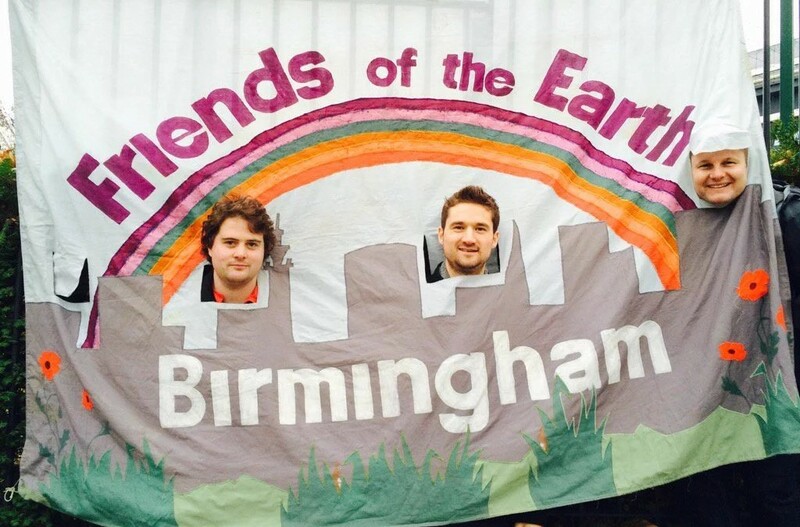 Last Saturday a group of BFOE campaigners descended on the Waseley Hills Country Park. The task of the day was to leave with a clearer idea of what the year ahead would look like. It was too cold to be outdoors but we were inspired from the view from the meeting room. The morning consisted of brainstorming how we could increase our membership and diversity, the link between waste and air pollution, how we could engage the public with the Brum Pound and how we could work with other groups on climate change and fracking. 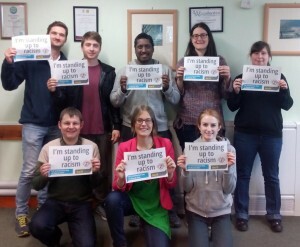 After lunch we showed our solidarity with everyone on Anti-Racism Day by tweeting a picture of us standing up to racism. After grabbing some tea and biscuits we went back to campaign planning. First up we firmed up the Divest WMPF campaign objectives. Then moved onto looking at what was in store for our nature campaign. With so many ideas floating round it was hard to make a decision. This provided a good debate and I can’t wait to see how the campaign ideas develop over the coming months. We ended by creating a timeline and I am looking forward to the exciting things we have planned for 2016. I’m sure there will be something that everyone will enjoy. Keep an eye out for details about the EU speaker event and a Sharing Cities book tour coming up in May and nature events in July and October. Make sure you don’t miss a thing by regularly checking our website, Facebook and Twitter. If you fancy getting involved with any of our campaigns or events then please get in touch or attend one of our Monday night meetings.